The warm summer months are past, but that won’t discourage us from creating amazing projects. That’s why our October Moodboard is full of strong vibrant colours, but also reflects the Autumn mood with it’s calm, dreamy images. Beauty can be found everywhere even if it’s more cosy to stay at home during a rainy October day, We can draw these beautiful images. 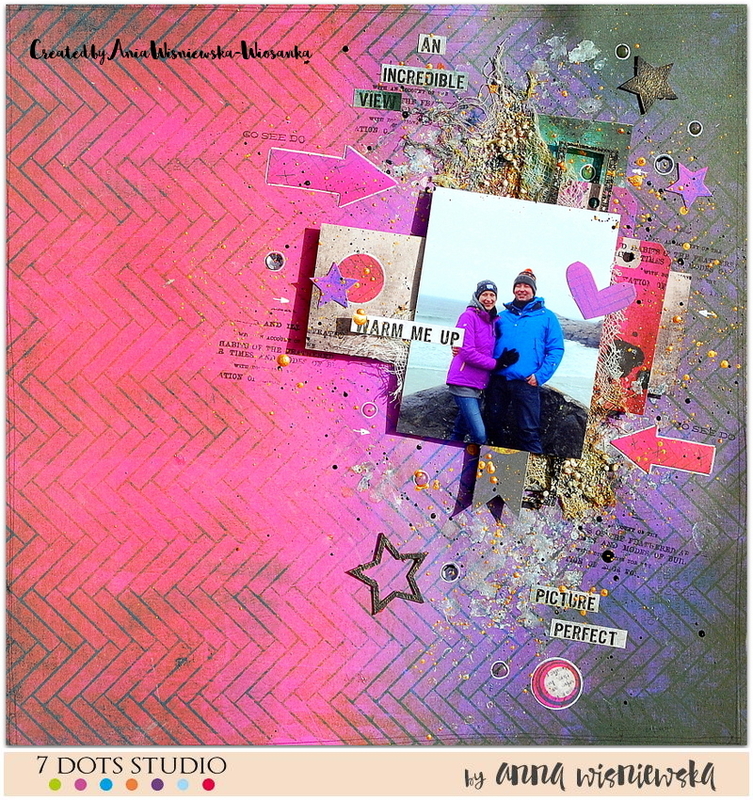 For our Ocober challenge I created layout “Warm me up”. It is necessary in Autumn I was inspired by our beautiful Moodboard, its colours and nostalgic, Autumn feeling. I used “Paint Chips” collection – one of my very favourites. Our October moodboard is riddled with magic! Such a wonderful palette fascinates and inspires! I prepared two cards from mysterious collection Garden Party. Be inspired and join us! 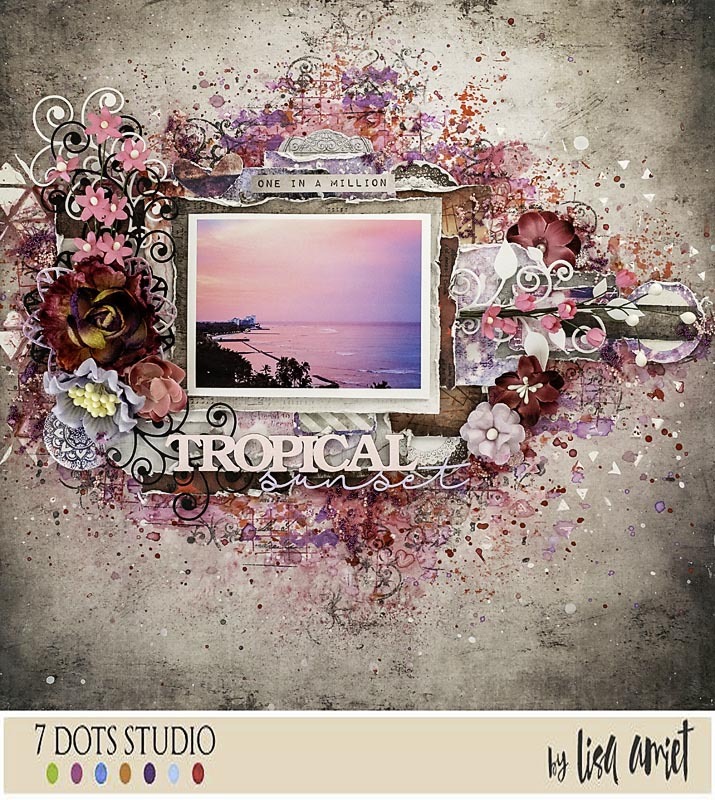 Hi everyone, What a lovely new mood board this month at 7 Dots. 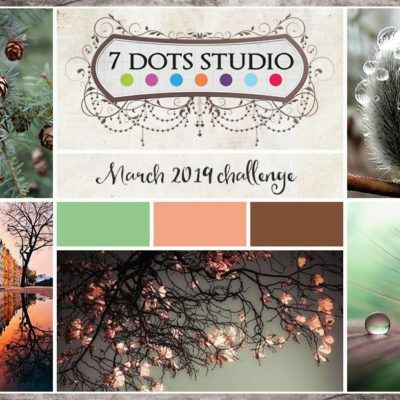 Amazing Colour palette, stunning inspirational photos, just the oohs to get the creativity flowing. 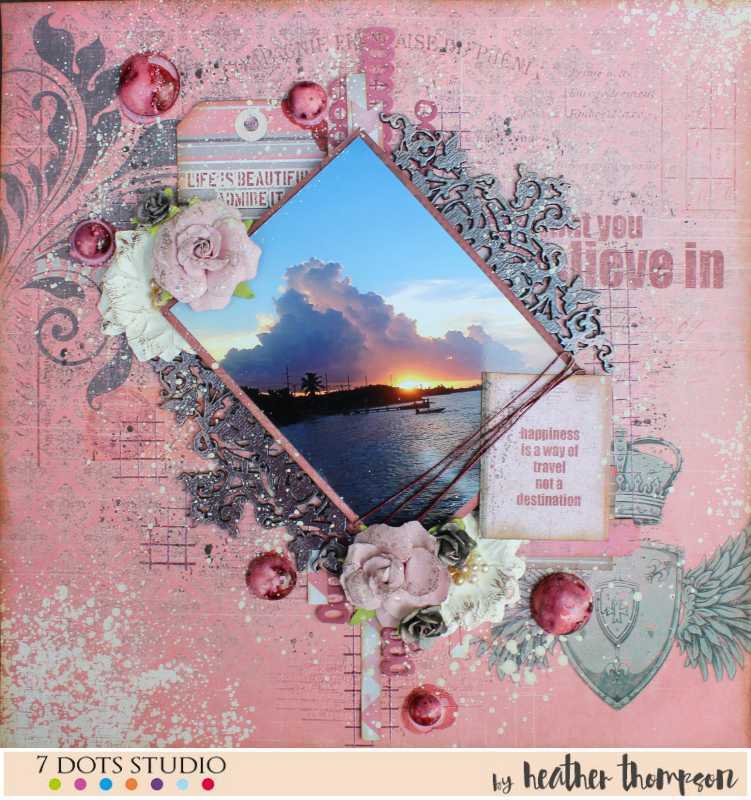 I got inspired by the photo in the upper right, the soft clouds with the sun peeking through. And the reflection of the light off the water on the opposite photo. I had this photo of a sunset while we where in the Cayman Islands. 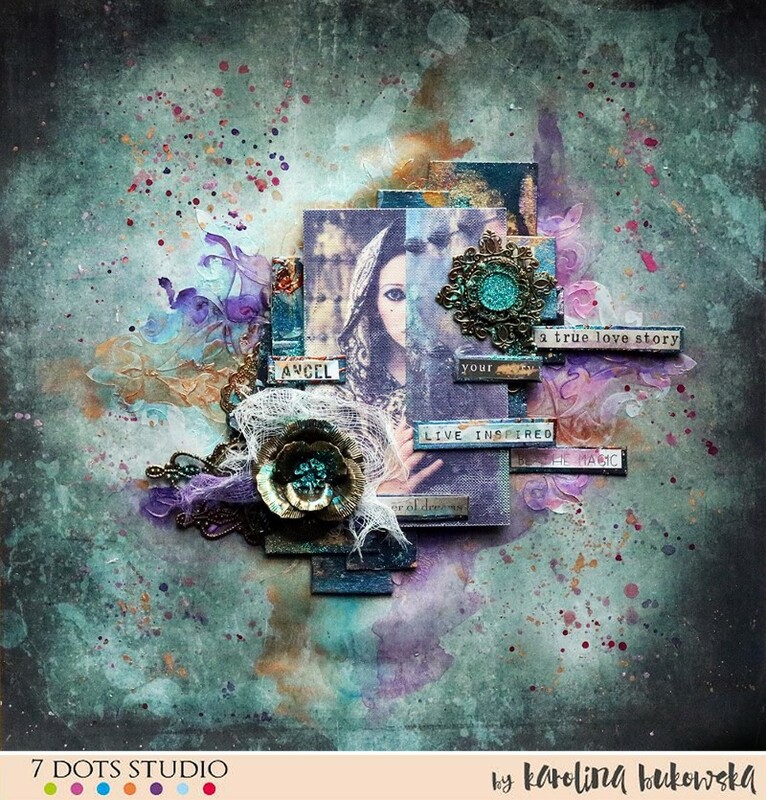 It was the perfect colour palette and I used an older collection The Queens Heart and with various background work with some of the best stamps; Paint Chips, Northern Lights and Thoughts Keeper. I added extra dements to pull elements out of the paper. After showcasing the photo, I added smaller elements from the Home Grown sticker elements. So I hope your inspirited this month by all the beautiful creations and the mood board. I look forward to seeing them all. This Moodboard is amazing and it inspired me to use watercolours in my project. 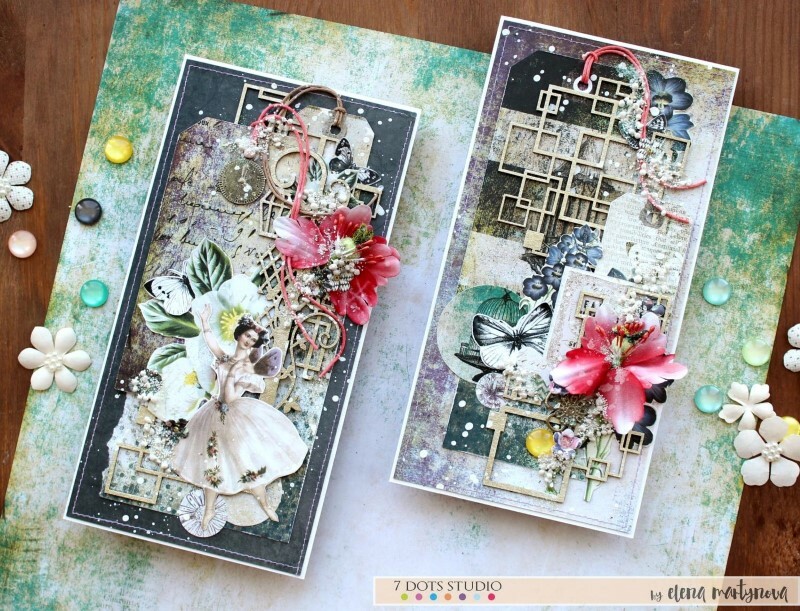 I used Homegrown – Dreamer paper and added stickers. I thought that contrasting colours would give a great look to the project. Hello friends! 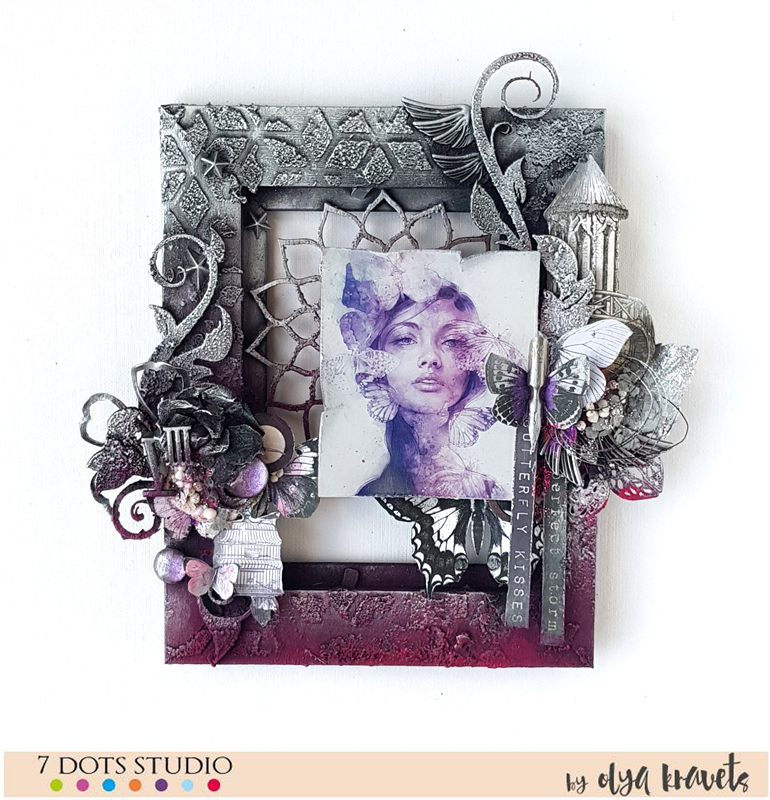 This moodboard is amazing and it inspired me to create the altered frame with Garden Party collection. This is a magical and mysterious collection and I wanted to convey this mood. I also used the word stickers and cut out some elements from the sheets. 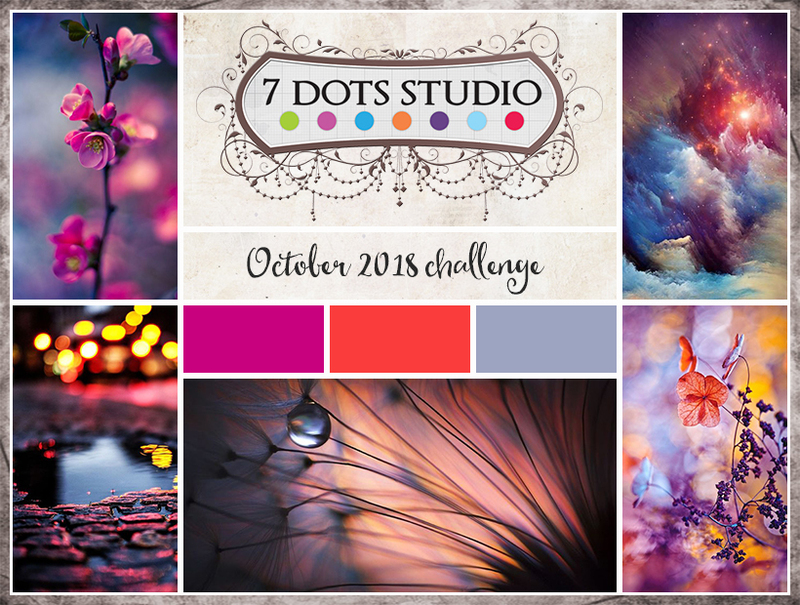 Challenge is open till October, 31st midnight CET. We announce winners on the 5th of November.